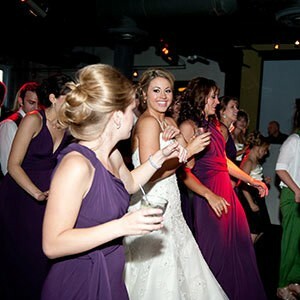 Chicago Wedding DJ Prices: How much does a Chicago wedding DJ cost? As you already know if you’ve done any research at all, Chicago Wedding DJ prices vary greatly. However, making your selection based solely on price is probably the biggest mistake a couple could make when choosing a Chicago wedding DJ. At the same time, you want to get a quote without jumping through hoops and wasting time that you don’t have. 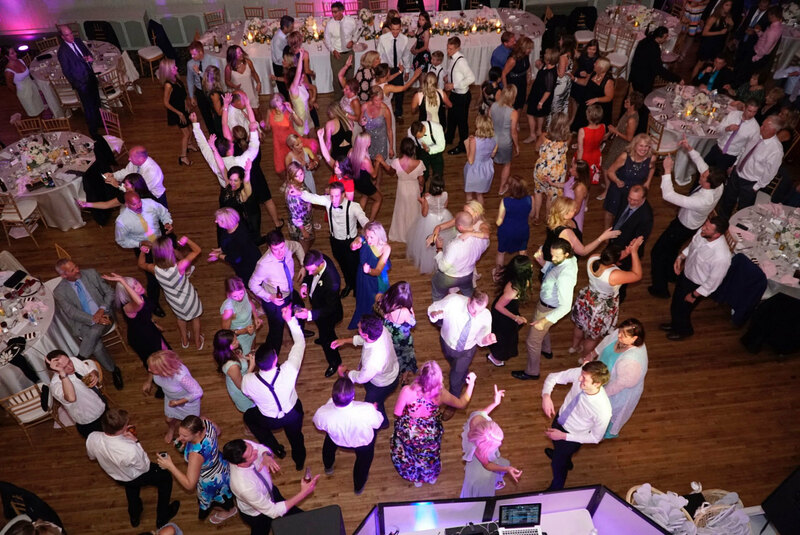 In the spirit of being completely transparent and wanting to provide as much information as possible regarding Chicago Wedding DJ prices, we have broken it down into six price points and outlined what you can expect to receive for each of them. The duration of performance times for these rates also varies (usually from 4 to 6 hours), and covers a single DJ system in one room. Several DJ companies advertise prices that only include four hours, then add cocktail or dinner times as an “upgrade” once they’ve met with you, so be sure to look out for this. At Hot Mix Entertainment, we actually give you the option of 4, 5 or 6 hours as well as equipment options and additional options (like Photobooth and Lighting) so that you only pay for what you need. You may have a friend or hobbyist DJ acquaintance that offers his/her services at this price point. While no DJ can afford to work at this rate, they can pull it off since they are doing it for some extra scratch on the side. You can expect consumer-grade equipment instead of professional equipment, and this can lead to a host of issues, including hard to hear speeches and toasts, as well as loud, unrefined blasting music that will grate on the ear after an hour or two. Their music selection will most likely be limited and be ready for disaster since they probably have no backup equipment, and if they are ill or unavailable you’re completely out of luck. 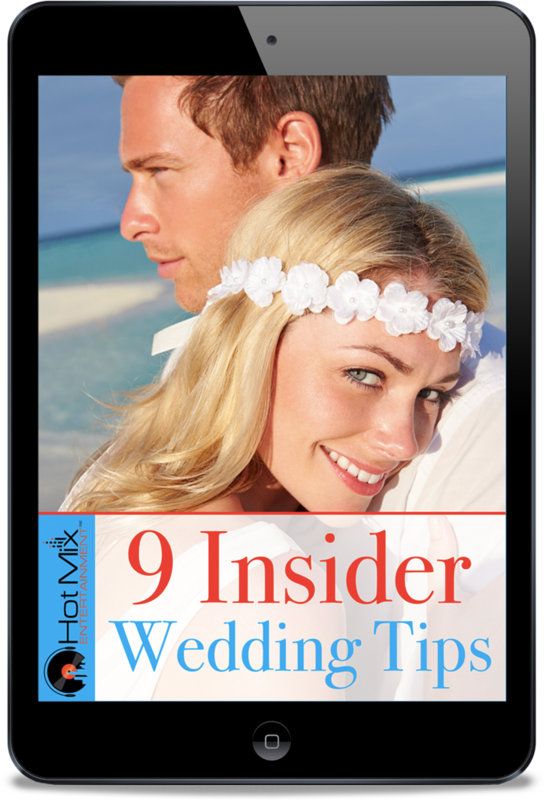 The planning will also be limited and unorganized, and that right there can ruin your wedding. Please also know that DJs like this in general have limited MC skills at best, will have little to no vendor cooperation and will not know how to keep the dance floor packed. It’s an unacceptable option when it comes to your most important day. You may see some professional DJ companies offering rates in this range, but they survive only by volume business and paying their DJs a low rate, which leads to high turnover (i.e. you won’t know what DJ shows up for your wedding gig, and there are horror stories online of DJs not even showing up). Additionally, they will probably cancel on you if they get a better offer and you probably won’t get a contract. Here again you will have consumer-grade equipment, no backup equipment or DJs and no planning help. And like the “friend rate” above, the DJs will have limited training, which means limited MC skills, limited (and probably illegally copied) music and poor vendor cooperation. This is also not what you want for your big day. This is where you will start to see professional DJs providing professional DJ services, and we actually start at this range ourselves. This isn’t our most popular option (the next one below is), but If you don’t require more than 4 hours for a reception, any significant planning beyond the initial consultation or special lighting and extras, this may be the plan for you. This is the general rate offered by DJ companies that rely on excellent reviews and full-time DJ work to stay in business. Here you can expect to find reliable DJs with well-maintained professional equipment and backup equipment for anything that could fail. These well trained and experienced DJs (that you get to pick and meet in advance) offer unlimited song requests using purchased music. Many hours of advance planning are included along with an online portal and unlimited support. These DJs have professional MC skills, music skills and great vendor cooperation. This rate is our most popular option and includes 5 hours of performance. This is when you want the crème de la crème DJ experience for your wedding. When only the best will do. On top of what you normally get with the “standard rate” above, you get additional equipment like sub woofers to give you that club quality sound, up lighting, custom bridal party intros, sound activated premium dance floor lighting and more, at least when you book with us. Other DJs may simply charge in this range without offering anything more than what the “standard rate” would include, or they simply offer gimmicks to raise the price. This is definitely not always the case, but it happens enough that it’s something to look out for when interviewing DJs that charge this amount. And if you book with Hot Mix Entertainment, we provide up to 6 hours of performance with all the extras. We hope this article helps explain how much a Chicago wedding DJ costs and what to expect at each price point. Obviously, we would love the opportunity to prove to you that we are the right company to make your wedding a dream come true. To discuss your wedding needs and choose your DJ, contact us today.